I truly enjoy this game, due mostly to the fact that I am a sucker for dice rolling. The whole game revolves around rolling dice and trying to score as many points as possible. Set-up is get out the score pad and 5 dice. Turns will be taken by each player, until all of the boxes on the scorecard have been filled. On your turn, roll all 5 dice. You may then re-roll as many of the dice as you choose. And after that, you again may re-roll any of the dice you choose one final time. 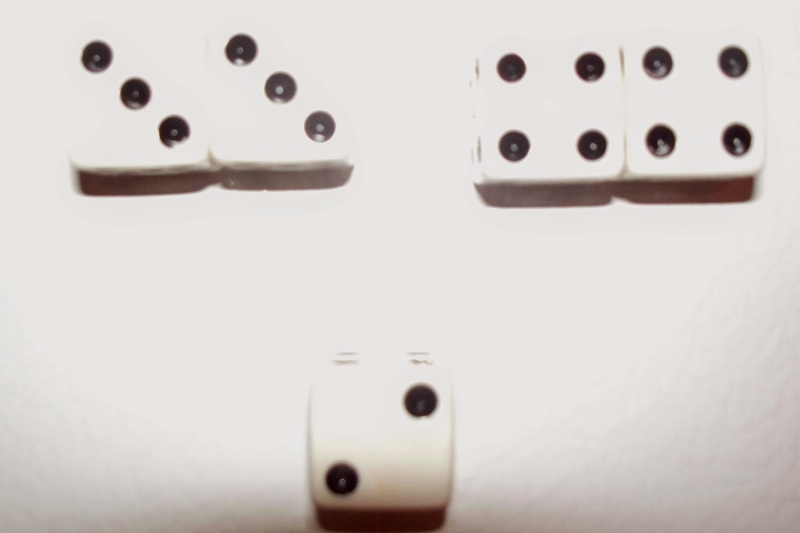 You then would use the faces shown on the dice to determine the score you put in one of the boxes. To do this requires an explanation of the score card. It is divided into 2 parts: an upper section and a lower section. In the upper section, there is a line for each side of the dice: 1, 2, 3 and so on. When scoring on the top section, you score a number of points equal to the amount on the dice faces but only to the faces that match that number in the row you are scoring... that sounds confusing but after the following example it will make perfect sense. The above picture scores either 2 points in the 2 box, 6 points in the 3 box, or 8 points in the 4 box. 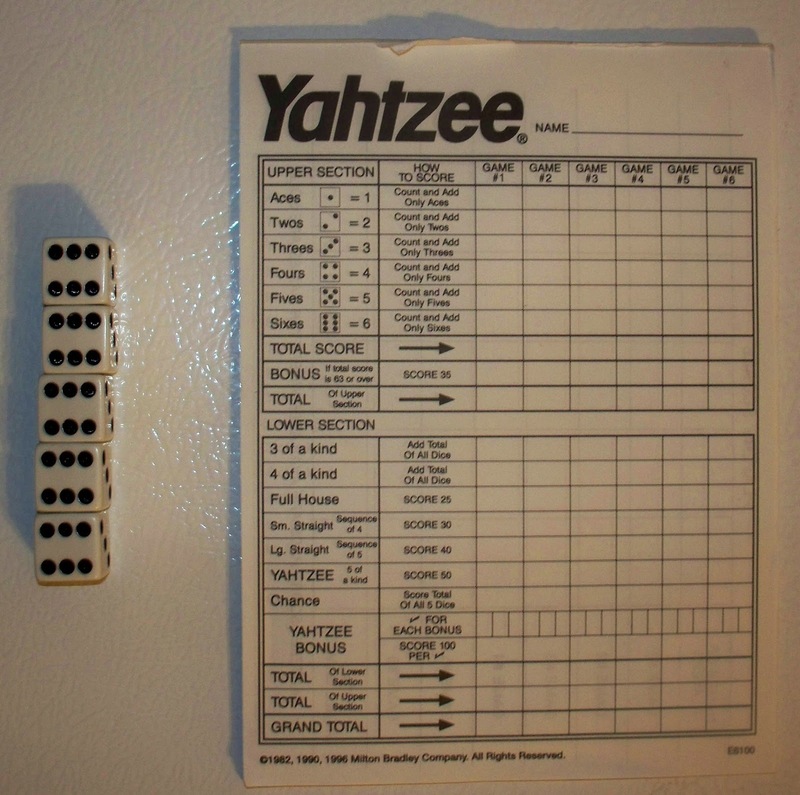 If ever you roll any additional Yahtzees after rolling your first, you get a bonus 100 points and get to take another turn. Part of the fun of the game is figuring out where to put your rolls. Take the following dice roll for example. You could score it as a short straight, 8 points in the 4 box in the upper score card, or even 14 points in chance. It could happen that at some point you may have a roll that you cannot score. If that happens, you must put a zero in one of the boxes. At the end of a game, all the boxes are totaled up and whoever has the most points is the winner.